Sub-£25k cars top the Price Guide Movers chart in the latest issue of Classic Cars. We reported in our newsletter of March 20 that Ford Escorts are topping the growth charts at the moment, with even the basic 1.1 and 1.3 models up 54% since the last update. Well, they’re followed by Austin Maxis up 40%, with entry level £400 for a rough example and £3500 for the very best. In third place we see the Ford Fiesta XR2 MkII jumping 34% to a price band of £1.4-9.8k, closely followed by the Rover P3 75 up 32% to £2-12.5k. The most expensive cars in the top 10 is the split-screen VW Beetle, up 25% to £7.5k, £12k, £18.5k and £25k depending on our condition ratings with growth of all Beetles of between 17 and 25%. In fact, of the 66 growers this month, only seven of them are worth more than £50k. From Bristol 401 to Rolls-Royce Silver Ghost, none of them represent the popular investor grade classics that regularly do the auction rounds. For 29 pages of buying tips and advice, including Quentin Willson’s annual Smart Buys special feature, have a look at the latest issue of Classic Cars. The biggest losers in our monthly Price Guide Movers chart come from all sectors of the market, with prices ranging from £5k to £1.4m. The biggest falls are seen with the first generation Porsche Boxster 2.7, down 20%. That brings rough ones down to just £2k, but why would you when good, usable cars are £4.25k and the best are £6.9-9.4k. The continued fall is driven by large volumes on the secondhand market and buyers chasing the newest Boxster they can afford – it’s too early for there to be a collectable premium in these first generation cars so they remain a tremendous bargain. Experience that agile handling, pure steering and zingy flat six engine and, if you love driving, you’ll be hooked. The rest of our top ten depreciators include the Land Rover Discovery V8 down 15%, BMW M3 CSL and Mercedes 540K Cabriolet A both down 10%, Alpine-Renault A310 V6 down 8.8% and Aston Martin DB7 GT/GTA down 6.7%. It’s useful movement that’s helping to make some classics better value than we’ve seen in years, and I expect this trend to continue. 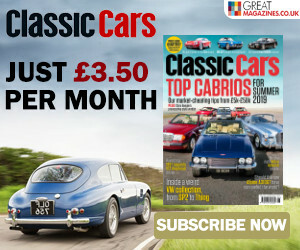 For 29 pages of buying tips and advice, including Quentin Willson’s annual Smart Buys special feature, have a look at the latest issue of Classic Cars. 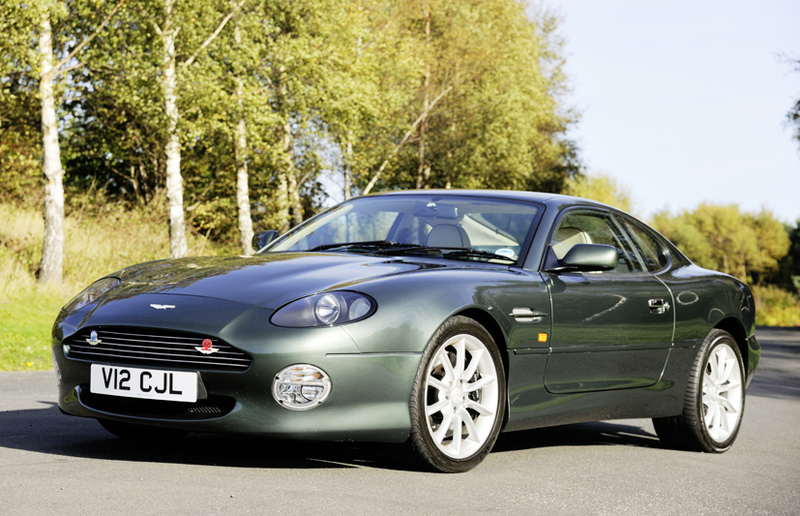 Its combination of unique colour, low mileage and impressive service history make this Aston DB7 stand out. Although this Aston Martin DB7 looks the the epitome of Englishness in this shade of green, the colour is actually a special-order Porsche colour, Oak Green. Everything else is very genuinely Aston Martin though, and in very fine fettle to boot. The car has had only one owner, a previous chairman of the Aston Martin Heritage Trust, and though this may not be a guarantee of careful stewardship, the fully stamped records shows all the right services at very respectable addresses including Lancaster and RS Williams. The car’s mileage is also low – just 31,300. Looking around the DB7, you would have no trouble believing the paperwork. The paintwork is in excellent condition, apart from some very tiny stone chips to the lower nose. Panel and exterior trim fit in no way detracts from the lines intended by the makers, while the shut lines are narrow and even.